UPDATE: On Tuesday, December 18, local authorities took custody of Michael T. Collins in Allen County, Kentucky and transported him to Denham Springs. He was booked into the Denham Springs Police Department and faces two counts of first-degree murder, two counts of automobile theft, and simple burglary charges. DENHAM SPRINGS- Michael T. Collins was arrested Saturday afternoon in a double homicide that took place in Denham Springs. Police captured Collins in Scottsville, Kentucky. For now, he will be booked at a Kentucky Jail as a fugitive from Louisiana. Once extradited, authorities will transport him to Denham Springs. There, he will be booked on two counts of first-degree murder of Eugene and Patricia Gurley as well as one count of simple burglary. It was first announced Saturday that Collins was wanted for murder. "After obtaining test results from the Louisiana State Police Crime Laboratory late Friday evening, Denham Springs Police Department investigators sought out and obtained arrest warrants for two counts of First Degree Murder against Michael Collins in the deaths of Eugene and Patricia Gurley," Denham Springs Police stated in a news release. Officers were seen early Wednesday morning in the 27000 block of Pete’s Highway at a warehouse sandwiched on the west side of the highway between Doug Wax Lane and Tate Road. The facility shares the address of a business called National Pool Builders. Inside the building, officers found 70-year-old Patricia Gurley and 72-year-old Frank Gurley dead. Police released autopsy results from the East Baton Rouge Parish Coroner's Office Friday afternoon, revealing both died of blunt force trauma to the head. In a Wednesday news conference, Chief Shannon Womack described it as the most "heinous and senseless" crime he's seen in his time with the department. Womack added that he personally knew Frank Gurley, who was a retired school teacher. Police said they found the bodies after they were called to check on the Gurleys, who had not been seen or heard from since Monday morning. It's still unclear when the couple was killed. 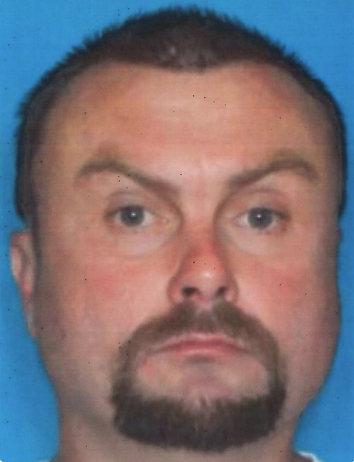 Police later identified a person of interest in the killing as 45-year-old Michael T. Collins.